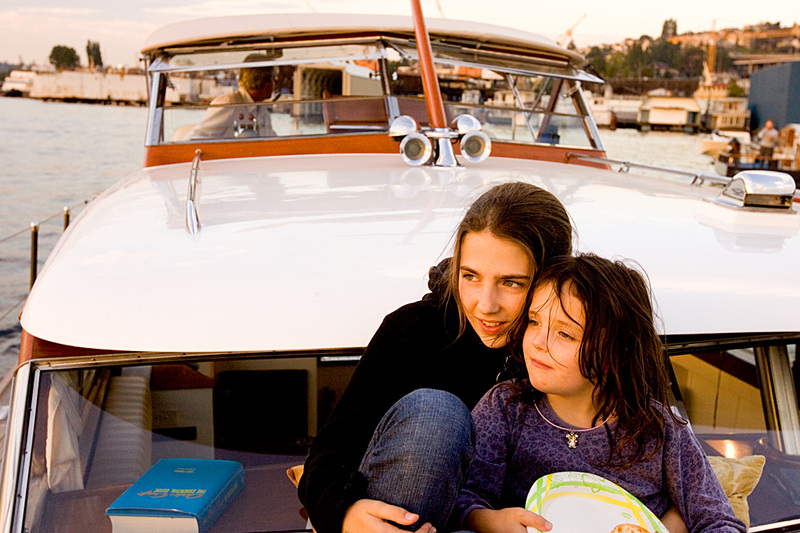 Claire and Ema were out enjoying a sunset cruise on Michael Craft’s beautifully restored 38′ long 1958 Chris Craft “Seneca”. Seems we do get some beautiful evenings every now and then here in Seattle and out on Lake washington and Lake Union is a fine place to cruise and enjoy the light and sights.. This entry was posted on Saturday, March 6th, 2010 at 8:45 pm	and is filed under LIFE and tagged with Children, Family Pictures, family portraits. You can follow any responses to this entry through the RSS 2.0 feed.